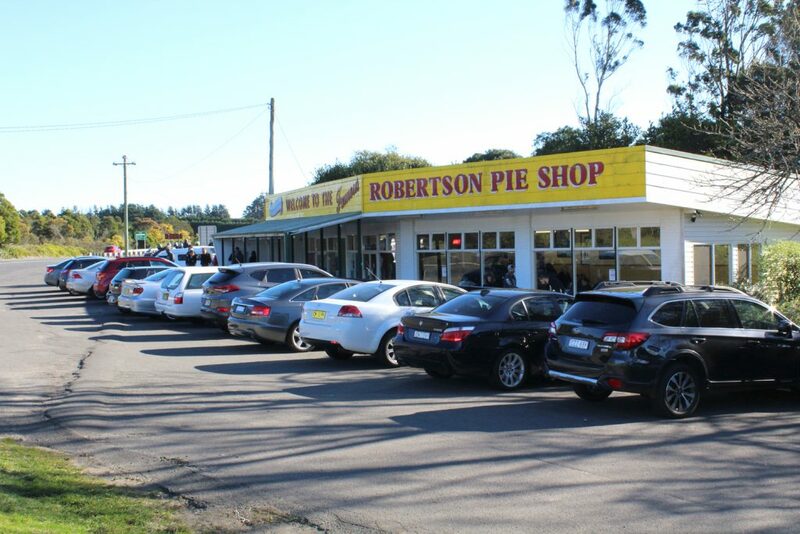 On our way back from the Kangaroo Valley we made sure to pass by another famous pie shop included in that pie trail I mentioned before: this time was Robertson Pie Shop. This shop ranks high in all restaurants reviews in that area, and after seeing the insane number of cars parked in front of the shop, we were sure it was worth a try (and our time). It was almost 3pm when we arrived and the shop was packed! There was a huge line but the service was very efficient and quick. Despite the length, I can say we spent a maximum of 15 minutes in the line. 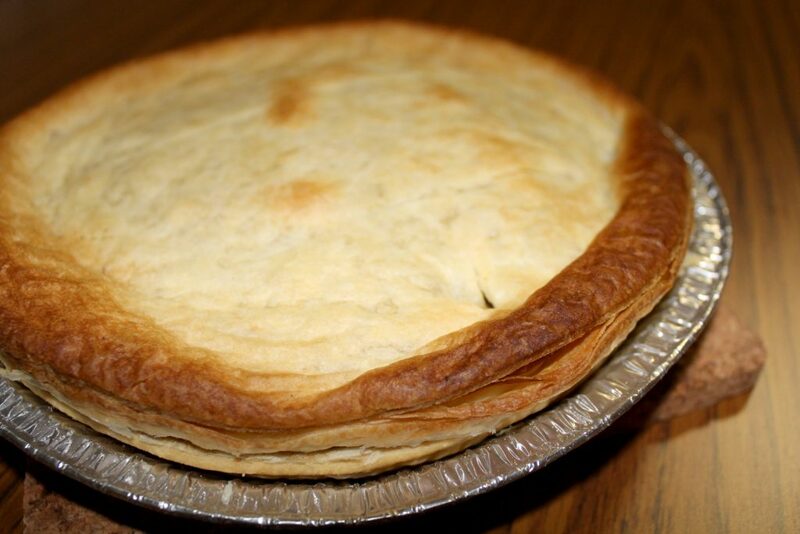 Regular chicken, leek, and camembert pie. 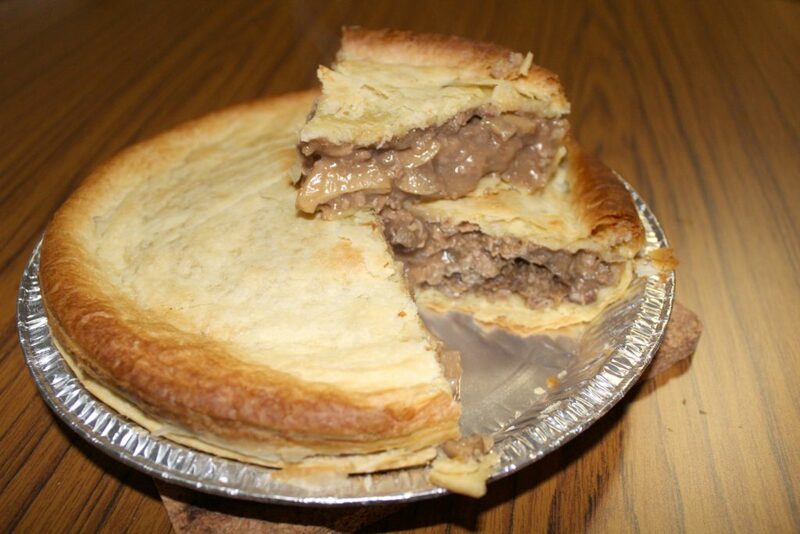 Family size of classic beef and mushrooms pie. Chicken, leek, and camembert pie. Both pies were truly delicious and had a very generous amount of filling, super creamy and tasty. 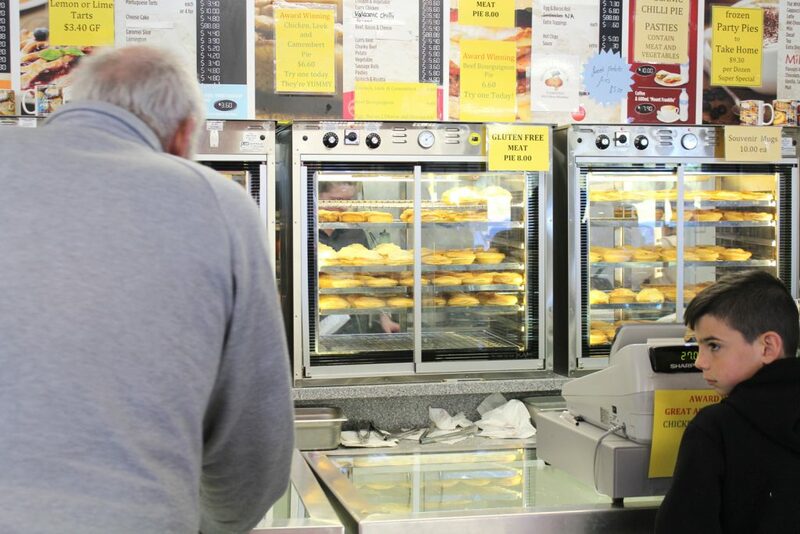 I also enjoyed their pastry, it is a different kind – when compared to Southern Pies we’ve also visited – buttery and flaky, but also incredibly tasty. I must say that this kind of pastry is not ideal to eat in the car 🚙 (yeah, a bit messy 😜), but once we had the family one for dinner at home, oh boy, it was sooooo good that I didn’t care for any mess around earlier in the car. Want to see everything we have published about Kangaroo Valley? 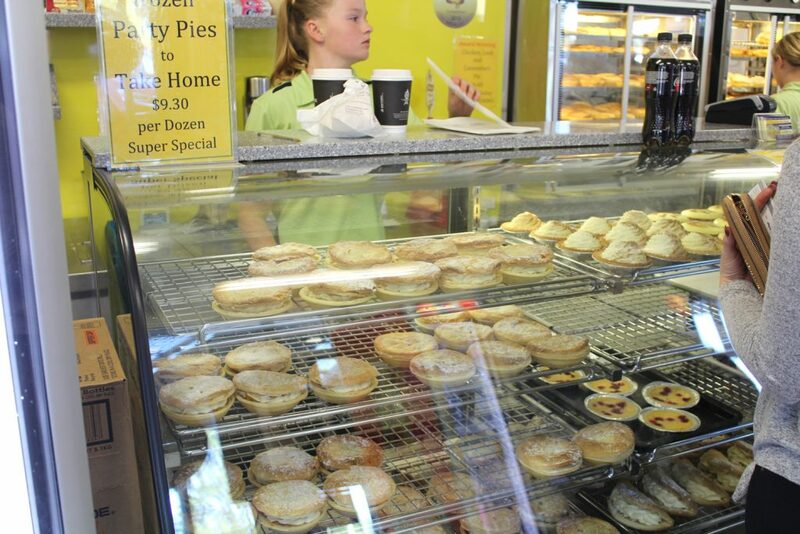 Here you can find what do to do and eat in the Kangaroo Valley.